BIOGRAPHICAL INFORMATION: PEGGY A. BURNS, ESQ. Peggy Burns now consults full-time as the founder and president of Education Compliance Group Inc. In her first life, she taught high school English and forensics. In law school at the University of Colorado, she met Mike, her husband of more than 30 years. Her “marriage” of law and education came when she asked to serve as in-house legal counsel for a large suburban school district in Colorado. 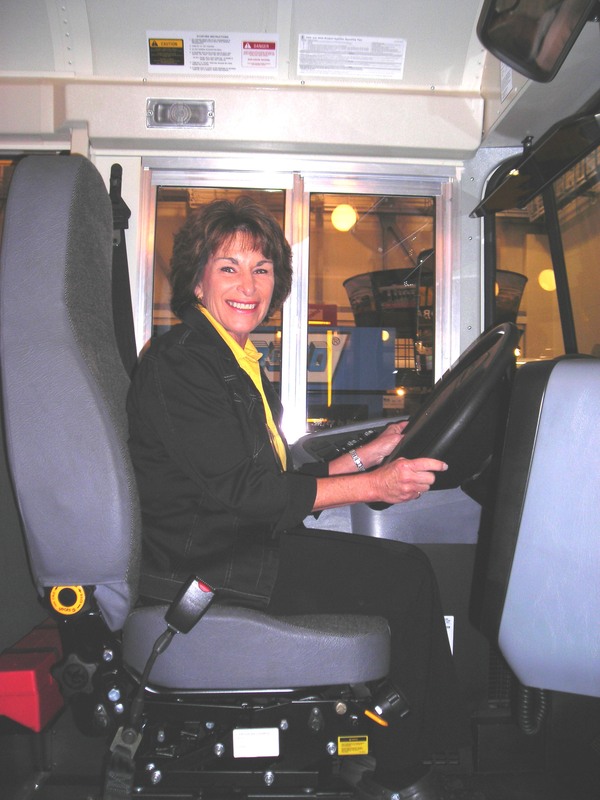 In 1995, while still with the school district, Peggy fell in love with school transportation, and is grateful for the way in which school transportation professionals have welcomed her into the industry. She also continues her work with school personnel in other areas as well, specializing in practical risk prevention and management. Peggy is sought after as a presenter at state, regional, and national conferences. Peggy serves as a Tenured Faculty Member for the National Conference and Exhibition on Transporting Students with Disabilities. She is editor of Legal Routes, and a frequent contributor to other industry publications. She is known for her accessibility and willingness to support school transportation professionals everywhere. Co-author of the book Defensible Decisions about Transporting Students with Special Needs: Lessons Learned from Legal Disputes, Peggy has also developed four training video programs for school bus drivers. “The Road to Compliance for Special Needs Drivers, “Putting the Brakes on Harassment,” “Steering Clear of Liability” and “Confidential Records: Training for School Bus Drivers” are widely used in school transportation operations. Peggy is also the co-author of a Risk Management Manual for Utica National Insurance Company. Looking good in that bus! Love the blog! Hi P&P, can you guys add an RSS feed? I’d love to follow you but I know I won’t read another email update. Thanks for doing this blog! If you need a hand setting up the RSS feed, I can send you some info, if required! Thanks again! Will give it a shot after the conferences, but we may take you up on that offer. Sounds great, let me know what you need. Feel free to drop by our booth if you’re going to be in Memphis! The RSS feed should be working now. Please give it a try and let me know if there are any probs. Sorry I couldn’t drop by at the trade show, had to head back early to left coast. Proud to have you in KC…..great blog!….keep them coming! Hi Peggy, you have been my inspiration since the first day I attended your training session at the Kellog Center here in Washington DC. I asked you have you heard the song by Michael Jackson “Man in the Mirror” and you looked at me a little strange, after I explained that after hearing you teach with such passion about students with special needs, I was finally able to see my reflection. I am now apart of the Leadership Team for OSSE-DOT. Thank you for all you do, keep lifting and moving forward.